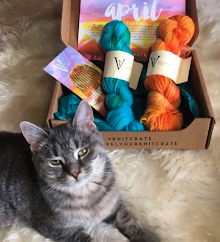 In 2016, it came as a shock that Rowan's Kaffe Fassett KAL would not include "intarsia" -- a way of knitting with an infinite number of colors in one row. After all, wasn't that technique that made his name? 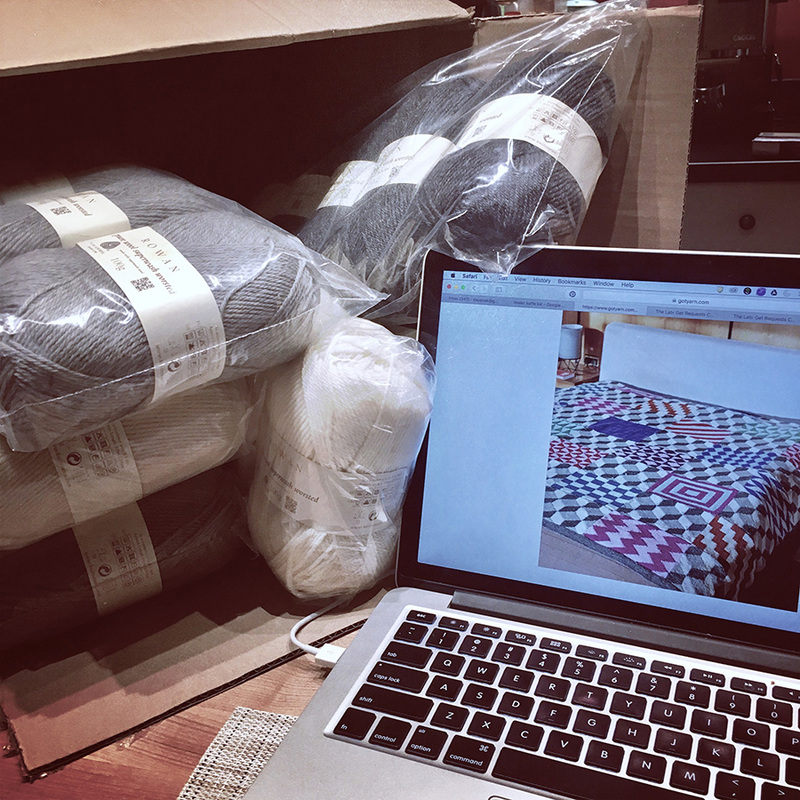 The project was actually more of a nod to his quilting persona and ended up truly stripe-tastic. If you thought the first one was hypnotizing and possibly seizure-inducing, this one might really get you to shake. DON'T BE AFRAID! You can do this! 👉 And, with less crazy colors. 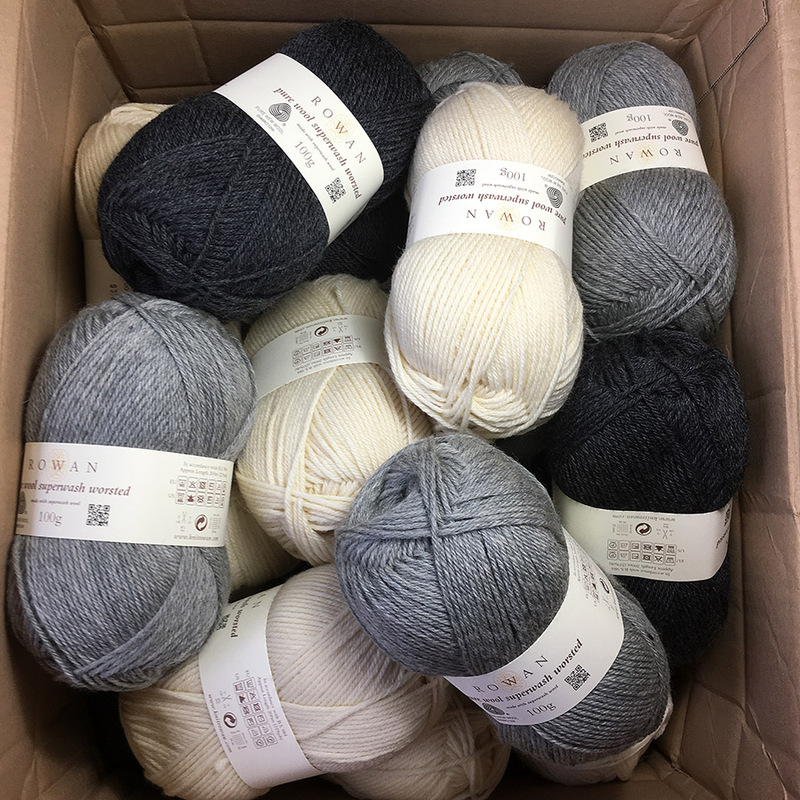 I looked at their shopping list, threw out ALL the color and bought 30 balls of the Rowan Pure Wool Superwash Worsted shades that make up the "tumbling blocks" squares. That's 10 balls each of Soft Cream, Moonstone and Charcoal Grey, if you want to carbon copy my future afghan. Now, I imagine that those of you interested have done a little intarsia in the past. 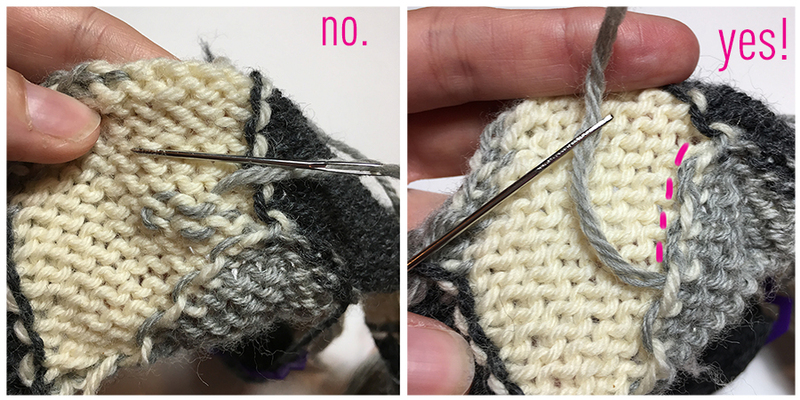 I'm not going to talk about HOW to do intarsia, but I do want to give you 5 tips on how to do it better. The advantage to bobbins is their weight (to keep tension at color joins) and how easy you can release more yarn to knit with. 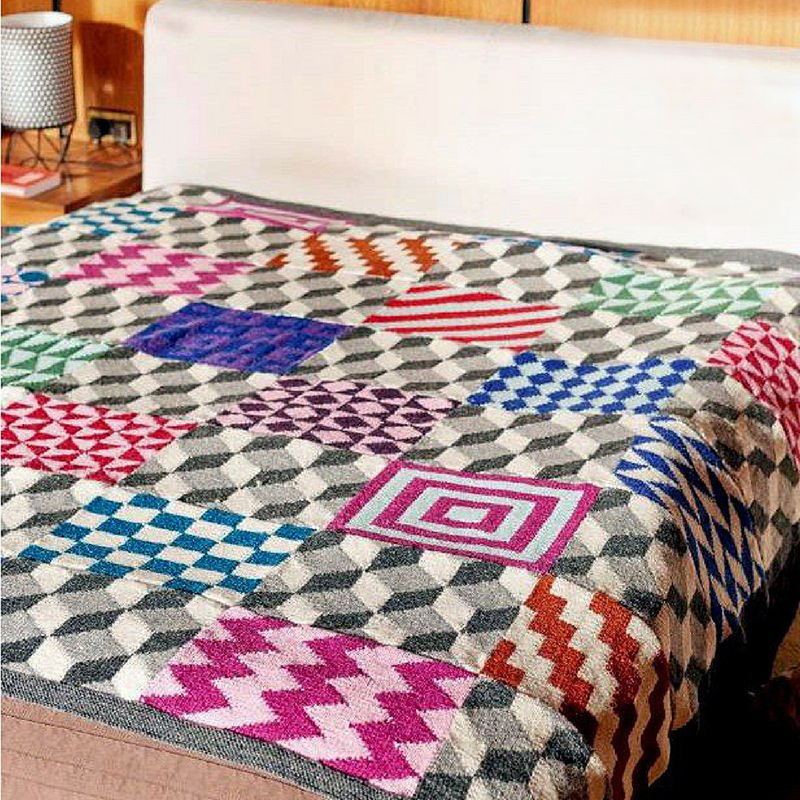 There are some bad ones and some good ones -- if you do a lot of intarsia, you should try a bunch and see what you like. 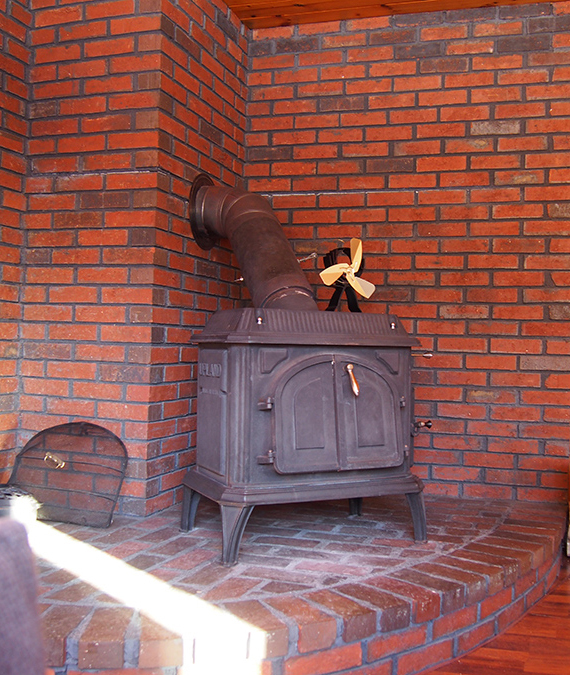 My favorites have these elements, but these particular ones are from Susan Bates. Not zero, 1 or 3. TWO! Sounds picky I know, but I've done a LOT of intarsia. 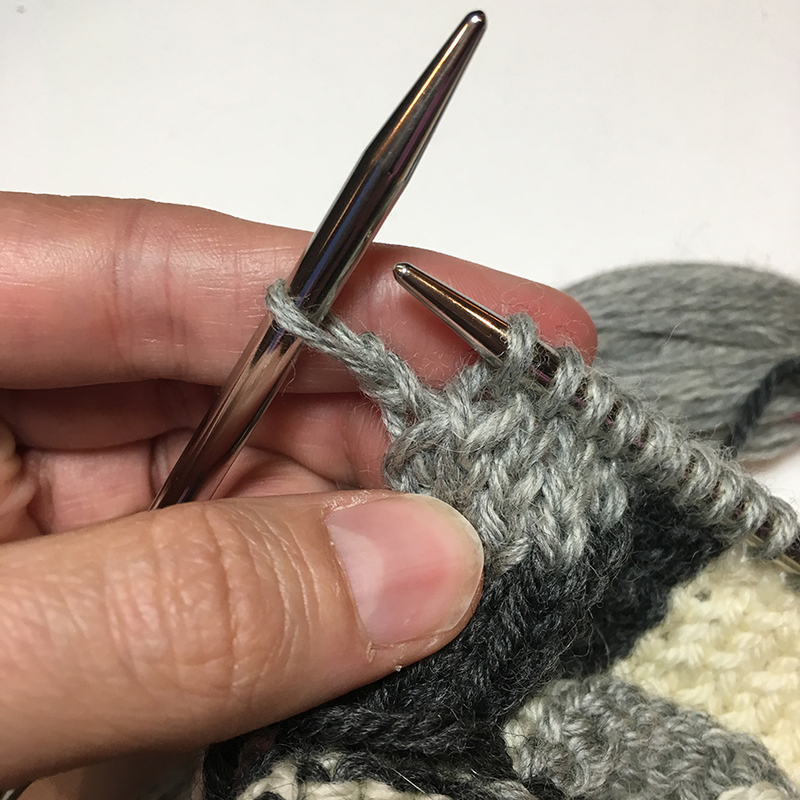 Tugging right away or after just 1 stitch only moves the yarn uselessly around the needles. 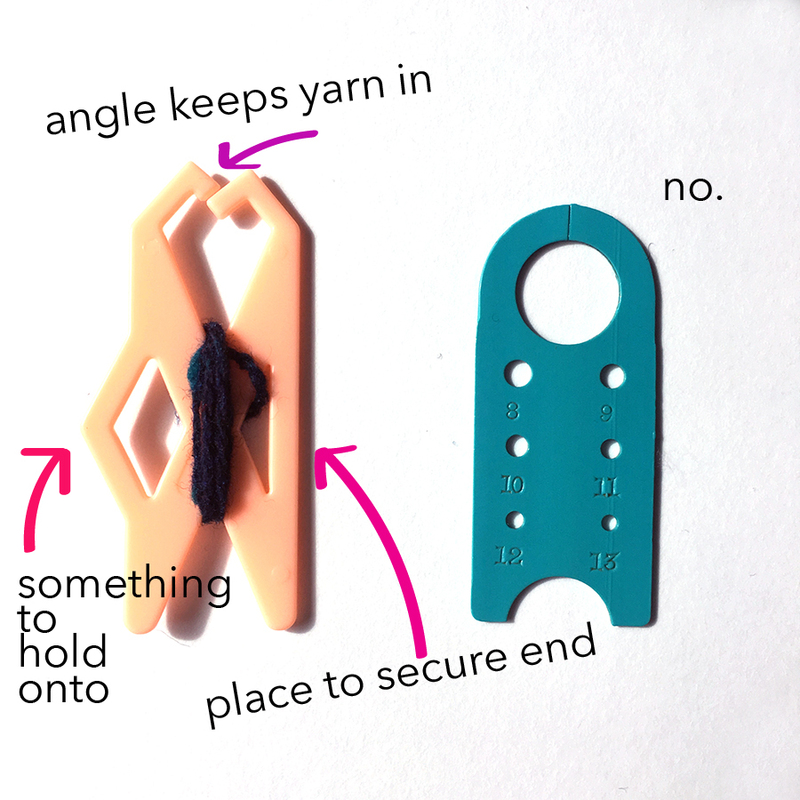 You simply need two whole stitches worth of loops to have something to tug effectively. After 3 stitches, it's just too annoyingly far to reach. Listen, there is nothing more irritating in intarsia than turning your work and watching every bobbin twist into a intricate cat's cradle. INFURIATING, actually! The point here is to never turn your work and purl by knitting FROM LEFT TO RIGHT. 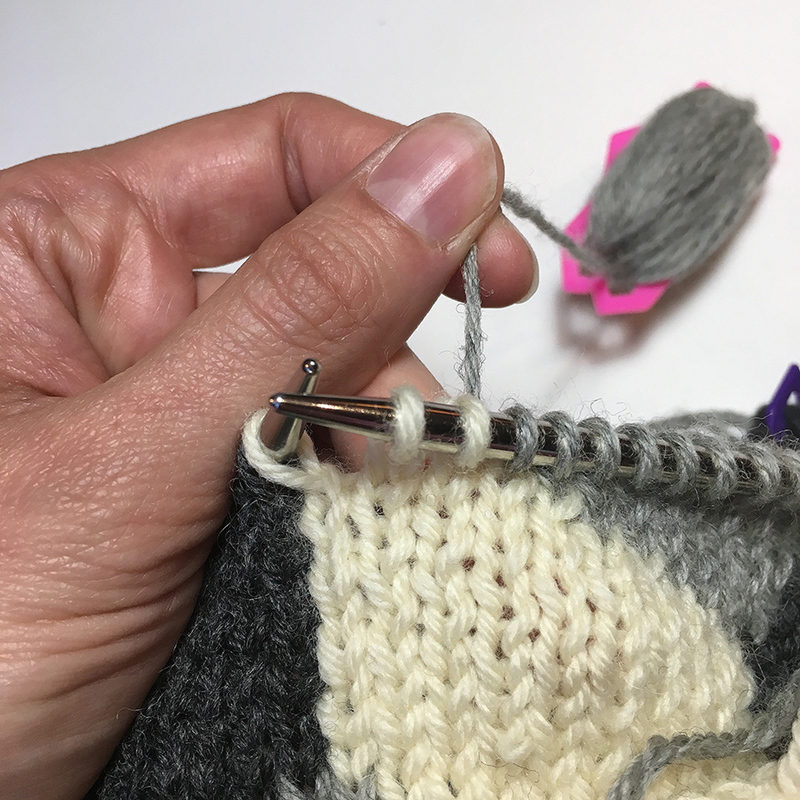 This technique is not only useful in intarsia, but also when you need to turn frequently, like sock short rows or i-cord. 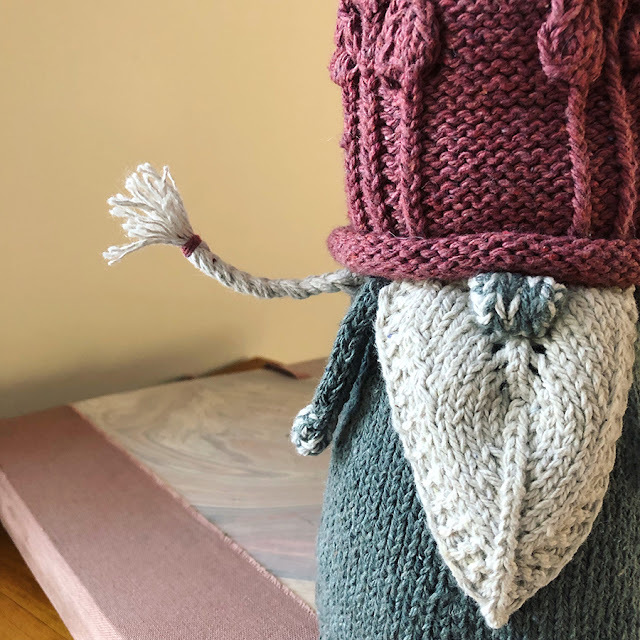 I can only show you with the English method, yarn held in right hand -- 'you continentals' may want to look around for a good tutorial for yourselves, it's worth it. 1. 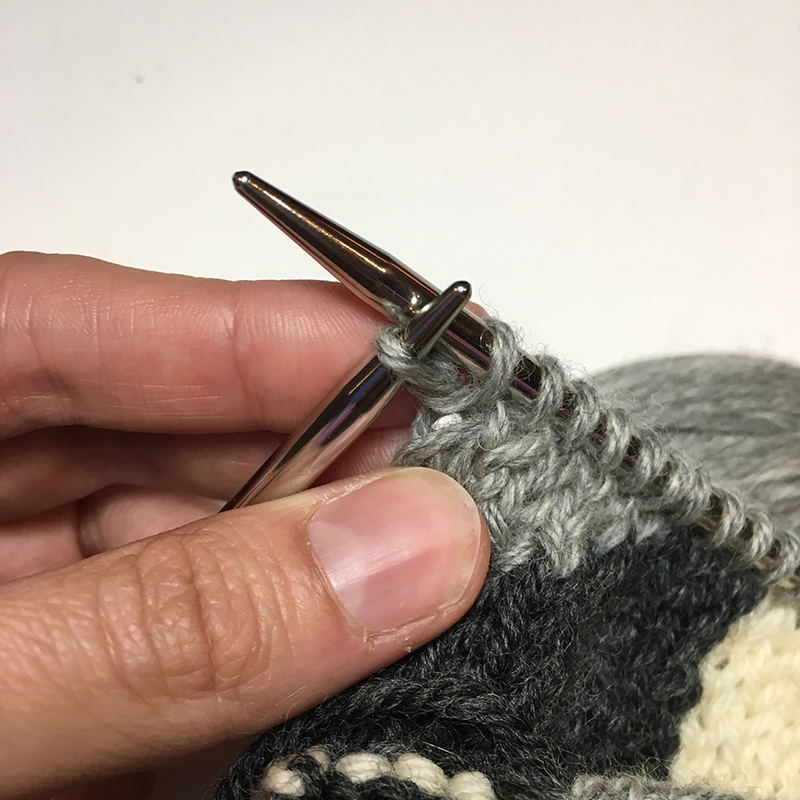 When you get to the end of a row, insert your needle into the BACK of the stitch you just knitted. 2. Loop yarn over the needle towards you. 3. Pull the loop through the stitch. 4. 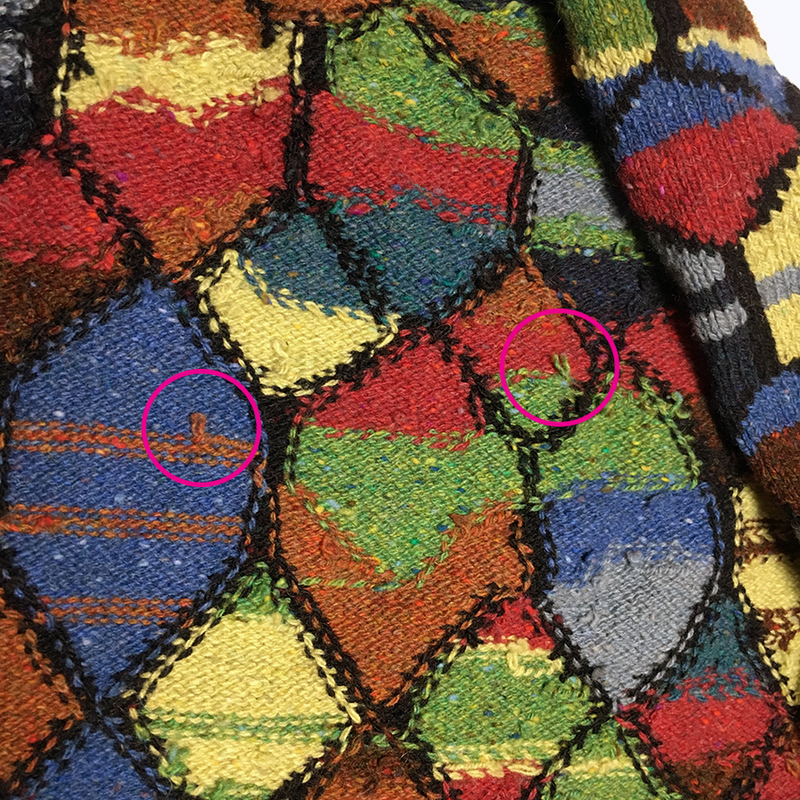 Move stitch onto left needle. When you join a new bobbin you are going to get a big wonking hole. 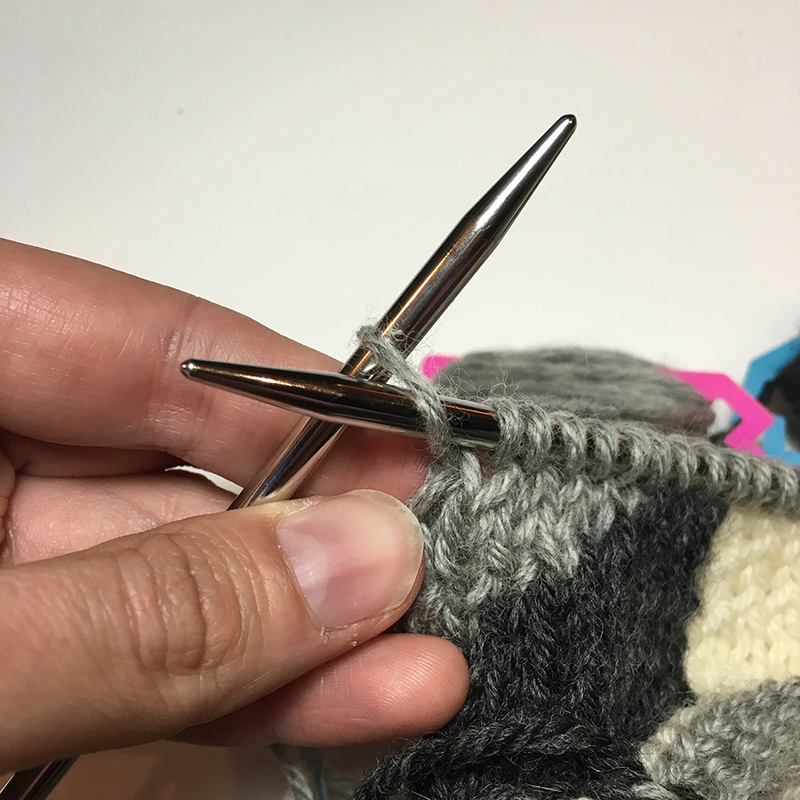 You're going to hate that hole while you knit -- but don't worry, the loose end is going to close it up real nice! 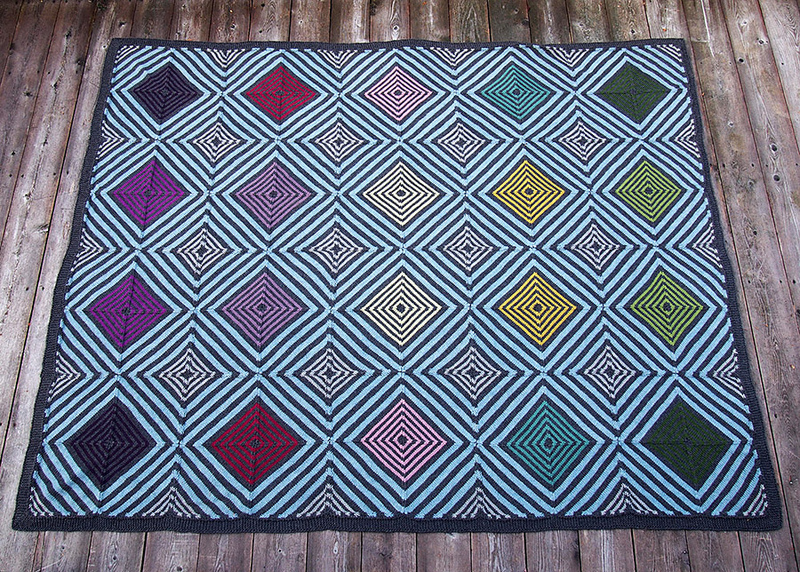 JUST DON'T BE TEMPTED to weave in the end into the block of color. 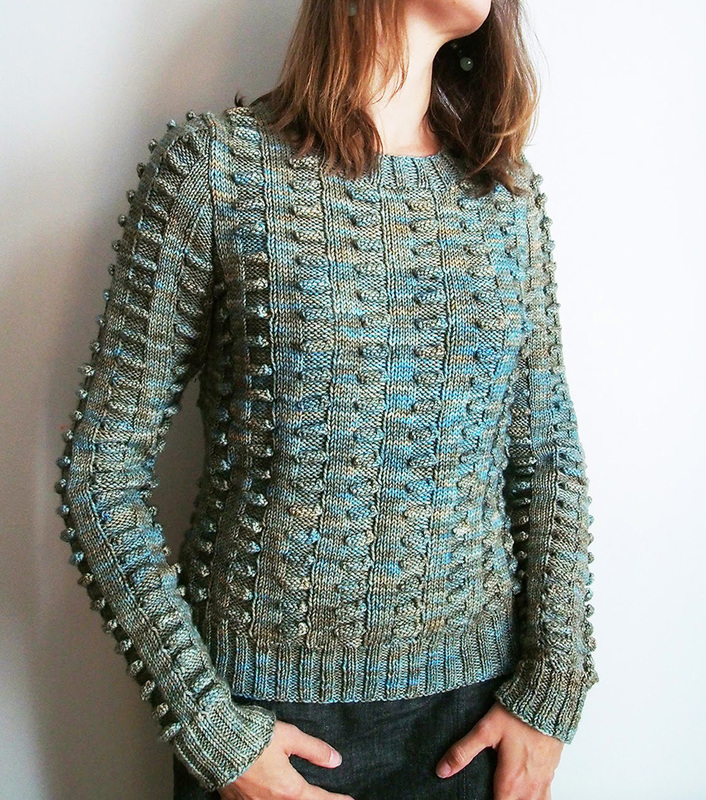 Intarsia is unlike stranded knitting, it's only one layer and you can see through it. 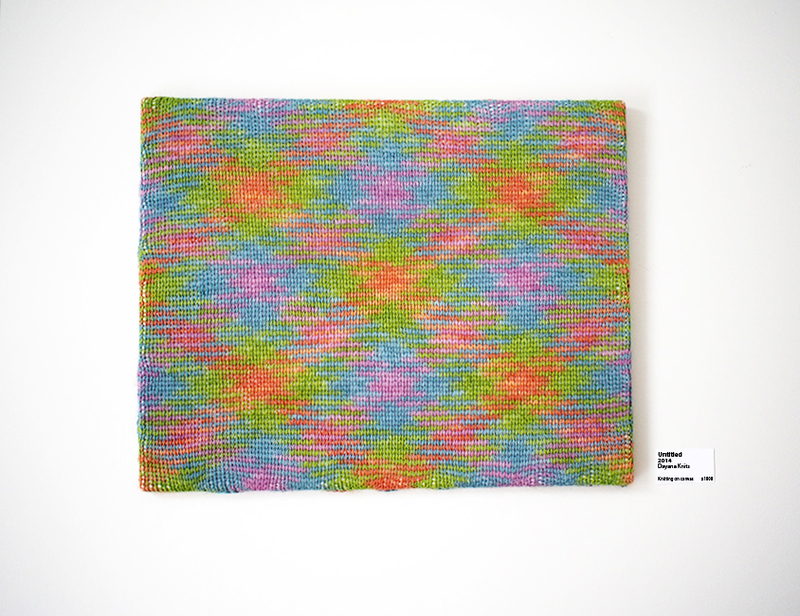 Not only might you see the totally different color behind it, but you WILL see the change in tension where you wove. In my opinion, the more color changes in intarsia, the more fun. I'm STILL working on this stained glass madness! You won't have as many ends as I have here, but you'll have a bunch. YOU DO NOT WANT THOSE TO GET OUT, OMG! Just leave the ends a tad longer than usual. I know this is an afghan and I know the back side is showing... but safety first, yo. Hell, it will tell everyone YOU made your masterpiece -- not some machine for Urban Outfitters! 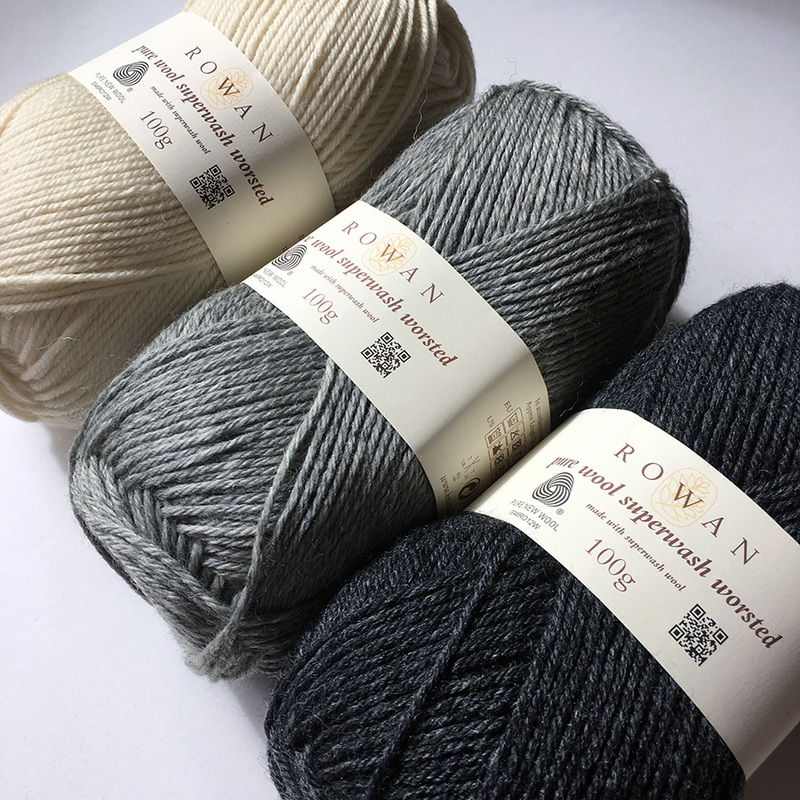 If you're joining in the KAL fun or just want to watch the progress, join us over in the Rowan Yarns group on Ravelry. I'm sure I'll think of some other tips, too. Nice tips, Dayana. Good to see that Tiger Shrimp is lending a helpful paw, too. Thanks for these tips! Um, I took an intarsia class once. A long time ago. :-) But am an avowed Kaffe fan so bought the whole lovely kit to make the afghan. I feared it would stay in the box. You've helped my confidence! Yay! Your blog makes this easy to follow along and makes me believe I can do it! ;-)... Dayana, where did you find those bobbins? I've looked online but don't see any quite as cool as yours. Thanks! tangling when I was working the rows with 10 color blocks. 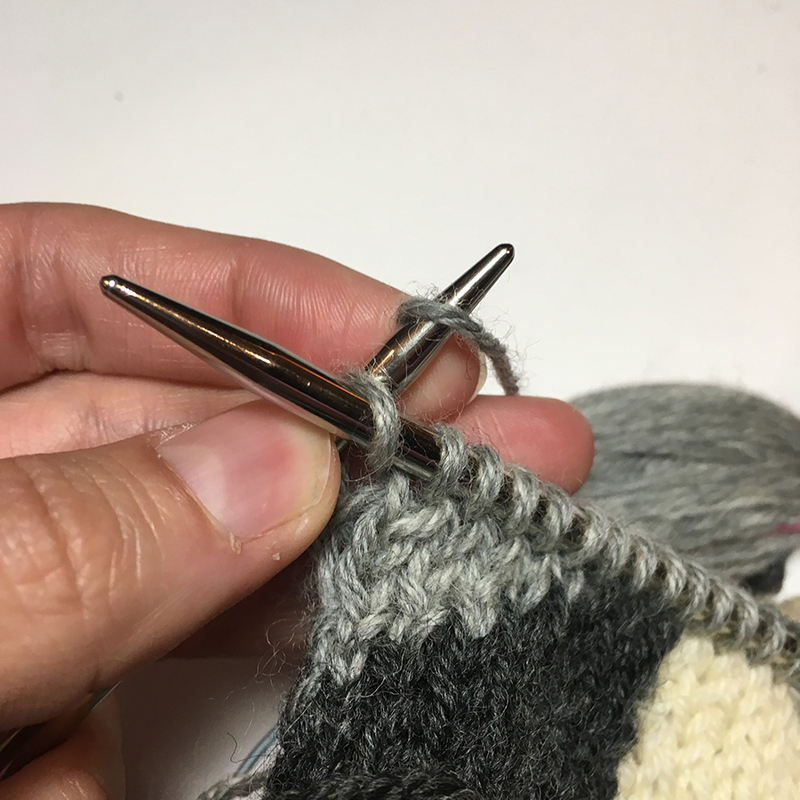 Your tips are great but I personally find purling easier than knitting. I think it's having the bobbins hanging in front of the work rather than behind it. For me, the purl rows seem to go twice as fast! Wow! 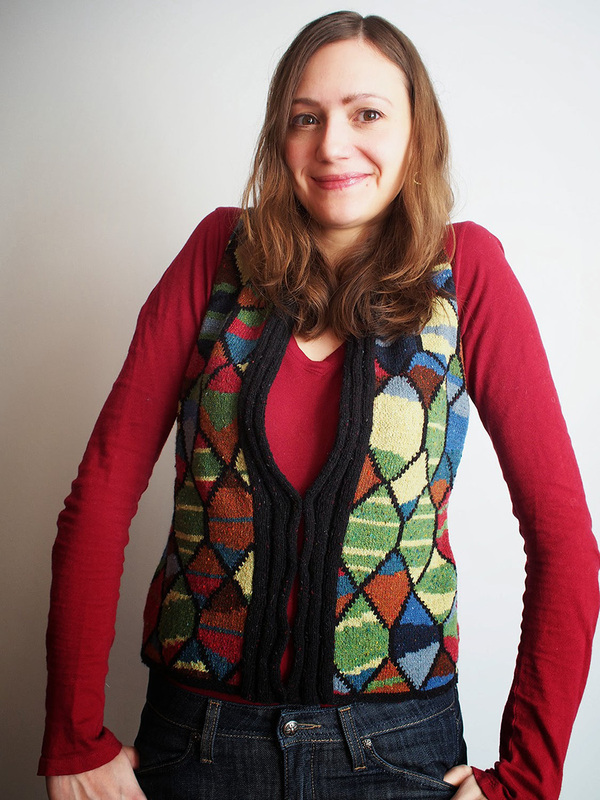 Great tips for those of us CONSIDERING intarsia! Now I wonder why EVERYTHING isn't knitted from left to right and right to left? Ha! It's not as easy somehow -- and I'm still not sure how you would do it continental!